It was a picture-perfect weekend for the Festival. 70°, puffy white clouds, cool breeze. Unfortunately many thousands of other people thought so too—it was crowded. 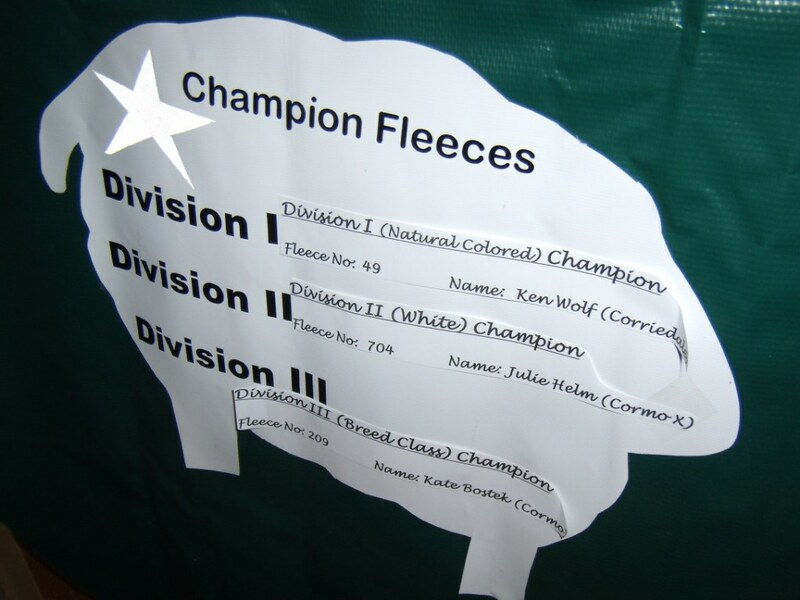 This was also the largest number of fleeces ever submitted in the Fleece Show, over 800 (about 200 more than last year). 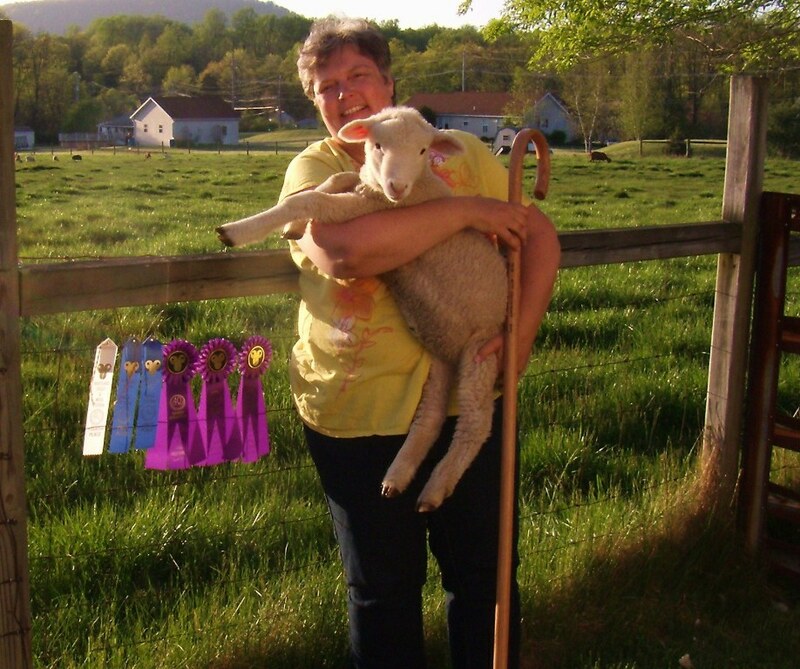 This shepherdess posing with Heather (future champion 🙂 )next to today’s ribbons plus the shepherd’s crook I won for Grand Champion prize! 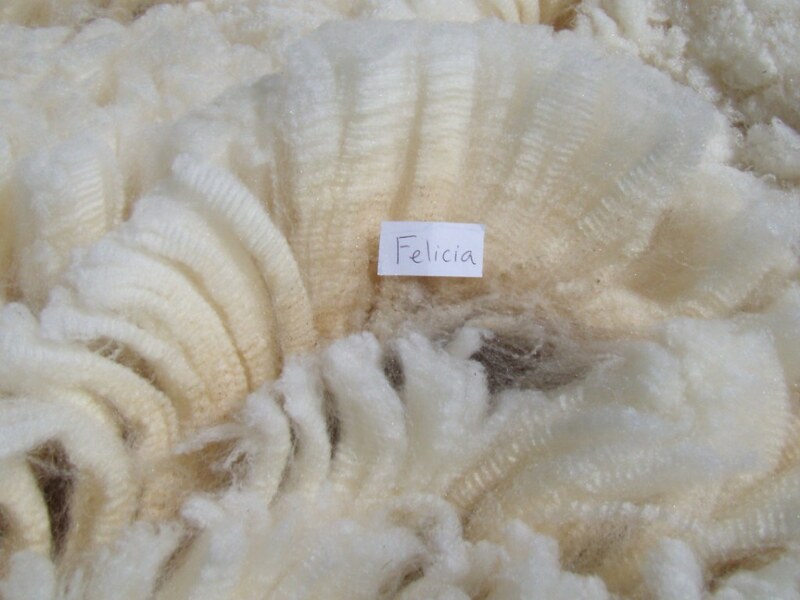 And we will give an honorable mention to Felicia for 4th place in Medium Wool category (she won 1st in this category last year). 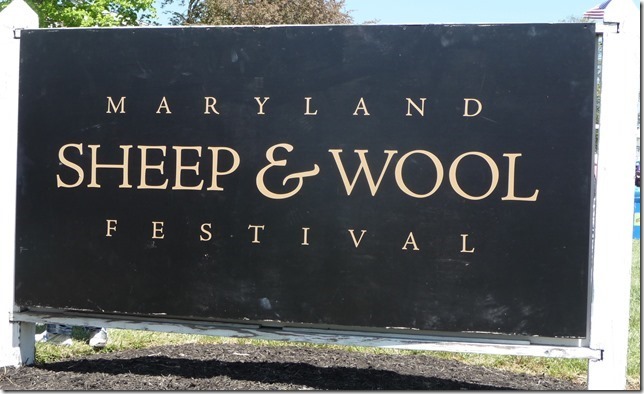 This entry was posted in Sheep and tagged cormo, Corriedale, fleeces, Maryland Sheep and Wool Festival. Bookmark the permalink. 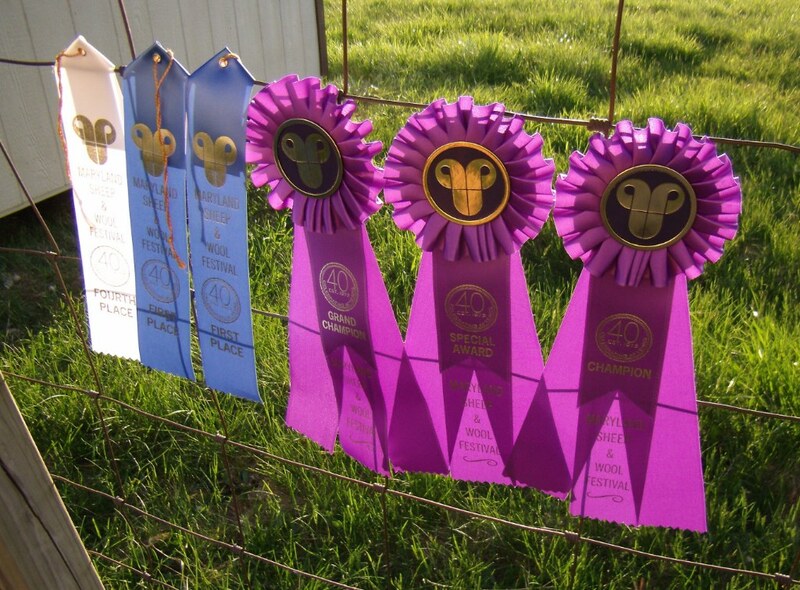 17 Responses to Grand Champion Fleece at Maryland Sheep and Wool Festival 2013! Wow, I’m impressed. Great job. Things like that don’t happen by accident. It takes great breeding, feeding and care. I credit Geof Ruppert of Ruppert Corriedales for the great breeding stock we have. He has an ambitious AI program importing his genetics from Australia, combining the best of Australia with the best of America. I’ll take credit for feeding them and cleaning up after them though. 😉 Thanks Dan! Great job! Even with my limited and long-ago experience with wool, they look amazing. You should be proud! I tell you what. WOW! Thanks Kathy! We were just talking about the Farm Show. 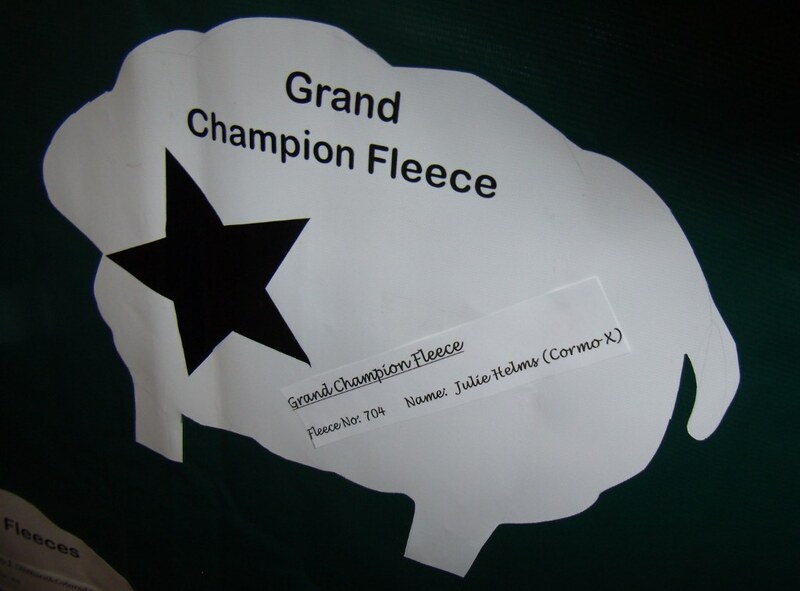 I have one fleece left over that I might pop in there–I have to read up on the rules. You should definitely enter at Maryland. Plus you would have a lot of fun there! Nice Julie. 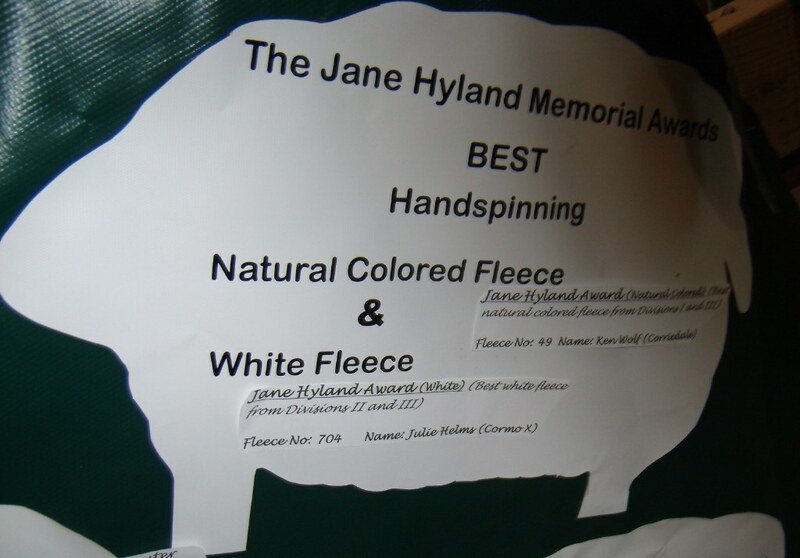 Those are beautiful fleeces. 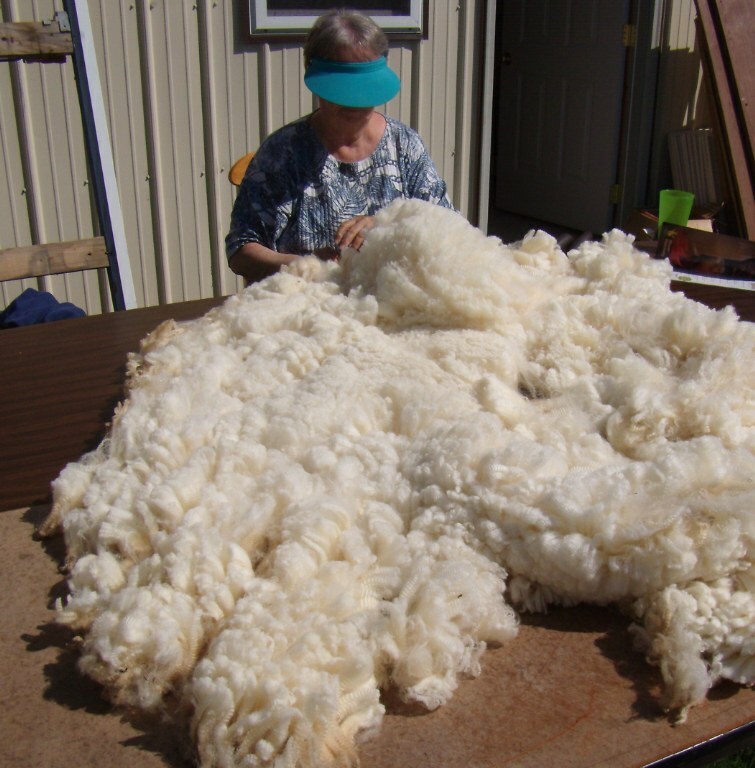 How did the fleece look after you had it processed? Sorry to hear about the leg. What about using one of those spinners you dangle? They are called “drop spindles” and you are right, they don’t need your legs to work, Very portable too. Oh, how wonderful for you and your sheepies! 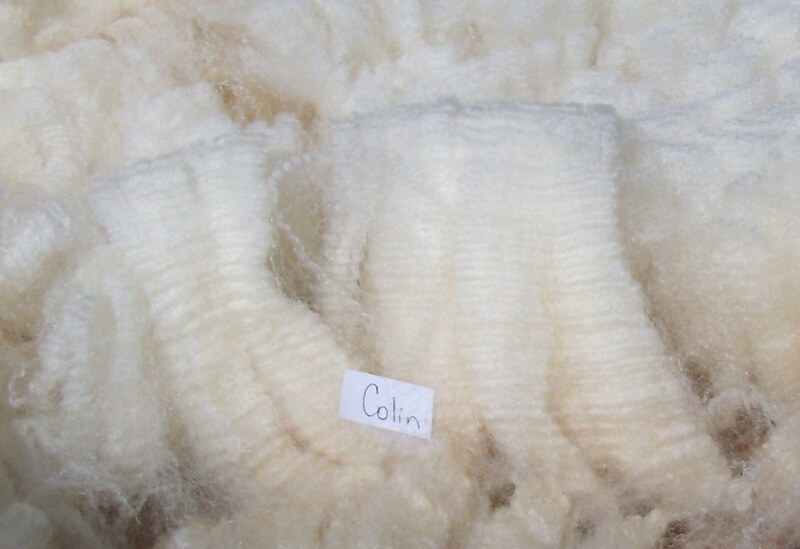 I’d love to crochet something with that lovely wool! Congratulations! 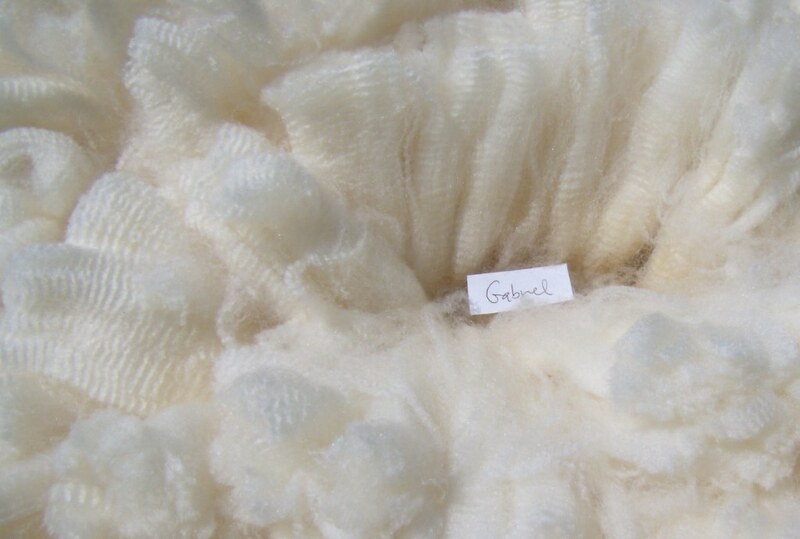 I know that when Dave showed me the fleeces last Wednesday, I thought that they were beautiful. Great crimping & color! Looking forward to my own!